Caring for a newborn baby can be daunting for any parent. It is generally more difficult for first time parents despite the advice and assistance of others. However, in most instances it is a matter of common sense and a few simple measures that most people know even if they are not parents. The first few weeks of life is the most delicate and while parents may have the child’s best interests at heart, conflicting advice and uncertainty can lead to incorrect decisions. Here are 8 simple tips on some of the most common points of concern for first time parents. One of the most important considerations is your newborn’s nutrition. There is no longer any confusion as to which is better between breast milk and baby formula. The composition of breast milk is the best nutritional option for babies – human breast milk, not cow’s milk. It may not always be possible to breastfeed your baby especially if you are a working mother. However, this does not mean that you baby has to lose out on the benefits of breast milk. Instead you can express breast milk with a manual or electric breast pump. The milk can be stored, warmed and fed to baby through a newborn feeding bottle by a nanny when you are away at work. It is still important to breastfeed when you are at home after work or on the weekend. Breast milk production is directly related to how often milk is expressed or baby is fed. Your baby’s umbilical cord needs to be cleaned properly on a frequent basis throughout the day. There is no need to interfere with the stump unnecessarily. It should be cleaned during diaper changes and after bathing. Although it does not have pain nerve fibers or a blood supply, the tissue of the umbilical is still prone to an infection. Traditionally rubbing alcohol or surgical spirits is used for cleaning by gently soaking it on a cotton swab and dabbing the stump. However, researchers now believe that the stump is best left alone and kept clean with water. The stump should always be kept dry and soaking baby in a bath tub should be avoided. It is important to keep baby warm at all times. Remember that baby has emerged from a very warm environment within the mother’s womb and his/her natural thermoregulatory (temperature control) mechanism does not function perfectly in the first few weeks of life. Avoid air conditioned room that are cold and keep the room thermostat at a warm comfortable temperature. But try to avoid overheating. Often overzealous parents dress a baby with thick clothing and wrap baby up tightly even on a warm or hot day. This can be a problem as it may lead to heat illnesses. Parents need to maintain a balance between losing too much body heat and becoming overheated. Do not be concerned if your newborn sleeps a lot. Newborn babies sleep between 16 to 18 hours a day. This sleeping behavior continues for the first 3 months of life although it reduces slightly after the first 2 weeks. Naturally it is concerning for first time parents who may be worried about the baby’s health. After all we know that when we are unwell we tend to feel sleepy and sleep for longer hours than normal. But this does not always apply to a newborn baby. In fact it is more concerning if your baby is sleeping for too few hours in a day. Naturally some babies are more active than others. But as long s your baby is feeding, urinating, defecating and growing as normal, the long hours of sleeping should not be a cause for concern. Most of us would consider it inconceivable that daily bathing is not necessary. But when it comes to newborn babies, daily bathing may not be advisable. Loss of body heat is greatest during and after a bath. The baby is naked and dilation of the superficial blood vessels allows for heat to dissipate into the water and environment. In colder areas in the world and during winter, the loss of body heat can be significant enough to lead to hypothermia. It is important to warm the bathroom sufficiently before commencing with the baby’s bath. Very hot water should not be used but instead the baths should be kept short. Alternating baby baths with sponge bathing may suffice for a newborn. 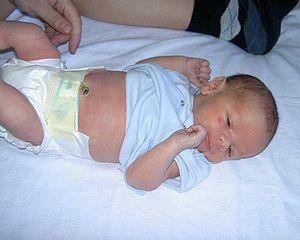 Neonatal jaundice affects most newborn babies. But it is usually physiological jaundice and not always a cause for concern if it resolves within 10 days (full term babies) or 2 weeks (preterm babies). Jaundice that persists may be considered pathological and can lead to dangerous complications if it is not treated properly. It is therefore important for parents to be attentive. 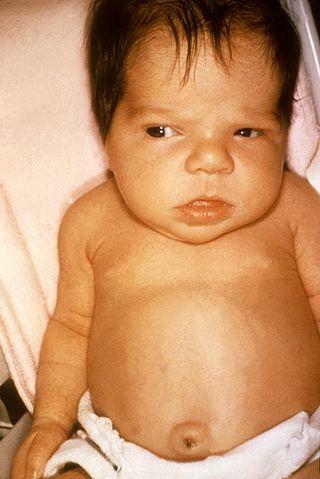 Jaundice is yellowing of the skin and the whites of the eyes (sclera). If it does not start to ease within the first week or so of life then consult with a pediatrician immediately. While sunlight exposure can be helpful, phototherapy to treat neonatal jaundice should ideally be done in a health care facility under medical supervision. Maintaining proper personal hygiene when handling a newborn baby cannot be overstated. Apart from washing your hands frequently, you should also use an antiseptic solution to cleanse the hands immediately before carrying or touching baby. Parents can have close contact like kissing the baby or touching baby’s face. But ideally you should avoid strangers from having very close contact with baby especially if you are unsure about their health status. Your clothes may also be contaminated with microbes or allergens that can be a problem for babies. It is best to shower immediately after you come home from work before handling baby, especially if you are a medical or day care center worker. Cigarette smoke is an irritant to any person. But to a newborn baby it can have serious adverse health effects. Babies who are exposed to cigarette smoke are more likely to suffer from allergies and contract respiratory tract infections more frequently. Ideally there should be no smokers living in the same house as a baby but this may not always be possible. Even though a smoker may not be smoking within the house, a host of chemicals from cigarette smoke adheres to the hair and clothes of a person. 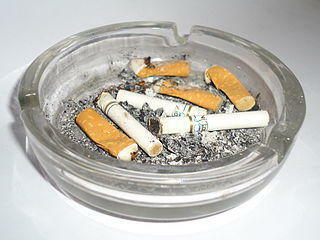 A person may be exhaling some compounds found in cigarette smoke for several minutes after smoking. Therefore smokers should have minimal contact with a newborn, especially immediately after smoking.